For Joe “The Nose” Wilk (14-6) all roads lead to the UFC. It’s easier said than done, as Wilk knows all too well, but the Kansas native is unrelenting in pursuing his dream of making it to the premier mixed-martial arts promotion on the planet. Wilk, who in his 14 wins has finished all but one of his opponents, hopes that a dominant performance in his upcoming fight will finally earn him the phone call from the UFC that he has been hoping for. 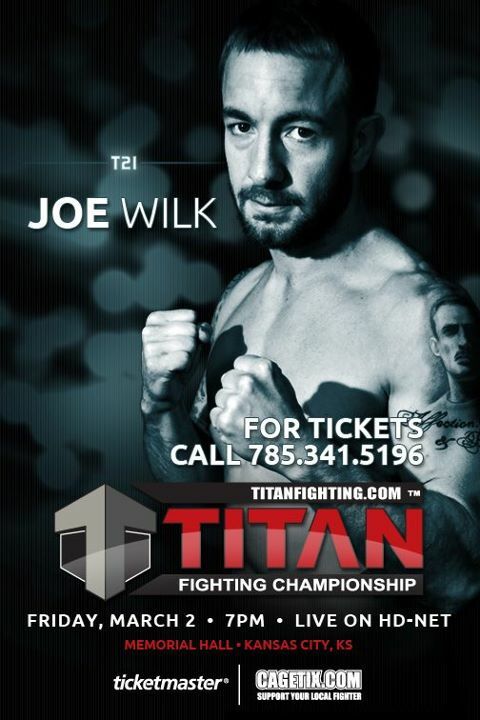 This Friday, March 2, Joe WIlk will square off against Andrew Carrillo (5-2) in the co-main event of Titan Fighting Championship 21 at Memorial Hall in Kansas City. The event airs LIVE on HDNet at 10 p.m. ET. ProMMAnow.com (www.prommanow.com) caught up with Wilk earlier this week to talk about his upcoming fight, if he believes he is underestimating his opponent at all, and what UFC matchmaker Joe Silva said that surprised him in a recent encounter. PRO MMA NOW: First off, you’re known as being an all around entertainer and not just as a guy who has exciting fights. Have you always been that way, and what would you say has been your biggest influence in that regard? JOE WILK: I tell people a lot that I grew up on Royce Gracie and Rick Flair, so if they [expletive] had a baby it would be me. I’ve always thought that there was a lot more to this sport and to this fight game than just fighting. I’ve come through the sport seeing the guys with the hood on their head, heavy metal music playing, who walk to the cage, thank God and their family, and then that’s it. For me you’ve got to do more than that to entertain. The entertaining doesn’t just happen in between the bell, it happens when the music hits, it happens during these interviews, and it happens after the fight during the interview. I’ve always just tried to bring that aspect to the fight game. I try to be more well rounded, and I’m not just speaking in terms of my skills, but in terms of the entertainment factor as well. PRO MMA NOW: Can you talk about your training camp a little bit and how you feel physically going into this fight? JOE WILK: My training camp went great. I’m totally healthy and my weight is good. I was able to go out to Miami for a week and I got to spend some time at Gracie Barra Miami with my instructor Daniel Montanha. Then I was also really blessed with the opportunity to go to Imperial Athletics and train with the Blackzilians and get my teeth fed to me by all of them in sparring. That kind of sparring and that kind of training really brings added confidence to an already confident fighter. It just makes me feel like I’m that much more ready than usual. PRO MMA NOW: In an interview you did with Titan Fighting for their website you said that there was nothing about Carrillo’s game that has you worried and that this fight is a step down in competition from a fight you had originally agreed to. Can you elaborate a little bit more on that? JOE WILK: You know I had agreed to a much tougher fight and then it didn’t work out and the opponent change happened. When I talk about Carrillo being a step down in competition, I don’t necessarily mean in overall competition, I mean in the competition I was facing in that other fight. For me, I’ve got UFC dreams and lake house wishes and I’m not going to let Andrew Carrillo stop me or get in the way. He doesn’t have anything on Friday night that is going to get in my way of where I’m going. I’ve just put too much into it, and I’ve been working way too hard for way too long. I was training in this sport before Andrew Carrillo was out of junior high school I think. He’s not going to come in and play the spoiler on me. It’s just not the right time for him. I think he’s a tough kid and I think he bit off a little more than he can chew. I’m going to go out there and finish him and keep progressing to where I’m going. PRO MMA NOW: Do you think you’re underestimating Carrillo at all when you say that he doesn’t have anything that is going to keep you from winning on Friday night? JOE WILK: Absolutely not. I think I’ve made that mistake before in my career and it has cost me. There is a constant growing process in this sport and a lot of that unfortunately comes through hardship. I’ve underestimated people before, taken people lightly, taken fights at weights that I shouldn’t have taken the fights at, taking fights on short notice that I shouldn’t have taken, and I learned my lesson about taking people lightly. It just doesn’t happen anymore. I train every fight like it’s going to be the main event in the UFC. This fight isn’t any different. If you can compare every fight camp that I’ve ever had to this one, this is my very best one ever. I’m in the best shape and I’m the best fighter that I’ve ever been, so underestimating him is not something that I’ve done at all. At the same time though, I’m not going to go in there and show him respect. I’m going to go out there and show what I’ve got and show what I can do. I’m worried about what I’m going to do to him and now what he is going to try to do to me. PRO MMA NOW: Now you said that you had heard that Carrillo had been really pushing hard to get this fight with you. Why do you think he wants this fight so bad, and has he said anything negative about you in the run up to this bout? JOE WILK: I haven’t heard him say any negative things, and the truth is that I know Andrew. He’s from Kansas also. We have a lot of mutual friends and I would actually consider him kind of a buddy. We definitely get along and I’ve run into him over and over on the fight scene. So I haven’t heard him say anything negative about me, and I think his pursuing the fight has everything to do with making a name for himself off of my name. I’ve been in his shoes. I’ve been the guy that is fighting a bigger name fighter and trying to get to where he is at, and I think that’s the situation he’s in. He has a lot to gain and not a whole lot to lose and that makes for a dangerous fighter, but again it’s not going to be his night. This isn’t the time where he is going to be the hero story or the underdog story and come and spoil everything that I’ve got going for me. It’s just not going to happen. PRO MMA NOW: Now you’re fighting in the co-main event on this televised Titan Fighting 21 card. Where do you hope a win in this fight takes you? JOE WILK: I’m trying to go to the UFC. I was so blessed today actually that on the front page of Yahoo Sports there is a feature about me that Kevil Iole wrote specifically about me trying to get into the UFC. That’s the ultimate goal right now. I’ve got a one-track mind about where I need to be to achieve the things that I want to achieve and I’m not just going to let anything get in my way. I went to the UFC on Fuel 1 in Omaha a little over a week ago and I saw Jake Ellenberger in his hometown in front of all of those people being able to represent in the biggest show in the world. That’s something that I’m trying to get out there. I want people to know that Kansas City and this area can support something like that. I have an unbelievable amount of support built up over the years. I bring hundreds of people with me to the fights. I’m talking friends and relatives alone, and not just people who know who I am. I think there are a lot of similar kids like that around the area and we’re on the come up. I want to be the guy from Kansas that breaks into the UFC and that shows people from these small towns around me that you can get in the gym, you can make contact with the right people, you can do the right thing, and ultimately you can make it to the biggest show in the world. PRO MMA NOW: I saw that you got to meet UFC matchmaker Joe Silva recently and that he knew who you were. What was that like, and when do you see yourself making it to the UFC? JOE WILK: Well I was totally surprised that he had heard of me to be honest. I know that they’ve got their ear to the floor in MMA, but from the outside looking in it’s hard to know how much they know about the area. As far as I know, nobody from Kansas has ever made it to the UFC, and my manager and I were talking to him and Sean Shelby and my manager said, “Oh, you guys might know him as Joe ‘The Nose’,” and [Silva] looked right at me and said, “I know exactly who you are.” My heart dropped. I couldn’t believe it. It’s just good to know that at least I’m on their radar. At least he has heard of me, and the right people know who I am. As far as when do I see myself [making it to the UFC], that’s not up to me. I’m going to do everything that I can do. I’m going to kill every interview I get. I’m going to win every fight that I can and I’m going to wait on a phone call. I’ve had some of these high profile interviews coming out, and this is a high profile television fight. It will be my third time on television, and if I get the call after this fight I’m ready. If I have to go win another one I’m ready. If I have to win ten more then I’m gong to go win ten more, and I’m not going to stop until I do get that call. PRO MMA NOW: Now I know you don’t like for your fights to go to a decision, so how do you see your fight ending on Friday night? JOE WILK: I’m going to finish him. There’s no doubt about it. I have one decision ever and that was two fights ago. It felt like kissing sisters. Of course you’re happy to win, but I’m on top of the world and walking on clouds when I finish fights and nobody can bring me down. That night it just didn’t feel the same. It wasn’t the same thing. It’s somebody’s opinion whether or not you won and I want finality. I want people that are tuning in Friday night or people that are there at Memorial Hall to know that I won that fight, because I’m going to be a finisher and I’m going to make it happen. As far as predictions go, you know people usually call me “Joe the Nose” but you can call me “Broadway Joe” on this one I guarantee. 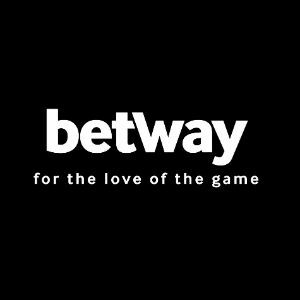 PRO MMA NOW: What would you say would be the best way for fans to stay up-to-date with what you’ve got going on now and coming up in the future? JOE WILK: Twitter is something that I’m really pushing now, so I would really like to push my Twitter (@JoeNoseMMA) and get as many followers as possible. People can obviously keep up with me on Facebook too. That’s easy to do and I’m really trying to hit the social media stuff more and more because I realize how important that is to this sport and fight game right now. PRO MMA NOW: Are there any sponsors you want to plug or people you want to thank? JOE WILK: Absolutely. I’d like to thank my sponsors Briggsauto.com, Gamma Labs, Ammotogo.com, and American Tattoo. I’d also like to thank my manager Ryan Stoddard with Relentless Management. It’s Relentless Management for a reason. He is totally relentless and is really helping push me towards my goals. Jen Wenk has just helped me tremendously, and I also want to thank all of my great training partners as well. PRO MMA NOW: Anything else you want to add? JOE WILK: Jiu-Jitsu or die. That’s what I live by, it’s tattooed all over my body, and it’s what I believe in. I’m a Brazilian Jiu-Jitsu fighter. It’s where I started, it has gotten me here, and it’s the reason I’m a finisher too. A lot of people like to talk about how well rounded they are and I want people to know that I am a Jiu-Jitsu guy first. That’s what I do and that’s what I’m out to prove. Tickets for Titan Fighting 21 are available at Ticketmaster.com and CageTix.com. For more information about Titan Fighting Championship visit their website at TitanFighting.com.